Here on the blog we focus on the bits of history we encounter while doing research for our books—or just researching for fun. Now and again we talk about the ways we connect our investigations to our main jobs of writing novels. With the launch of Vixen in Velvet, I’ve had several opportunities to talk about the way I integrate my historical research (especially fashion) into my stories, as well as other topics. Today I offer the lineup of Vixen in Velvet-related activities. They include a short video, which is your Casual Friday Video. Sorry. It's me. Coming in late with another one, from the Kindle blog: my Q& A with talented Avon author Sarah MacLean. Lady Avon Interviews Loretta about Vixen in Velvet. Even my publisher has questions. 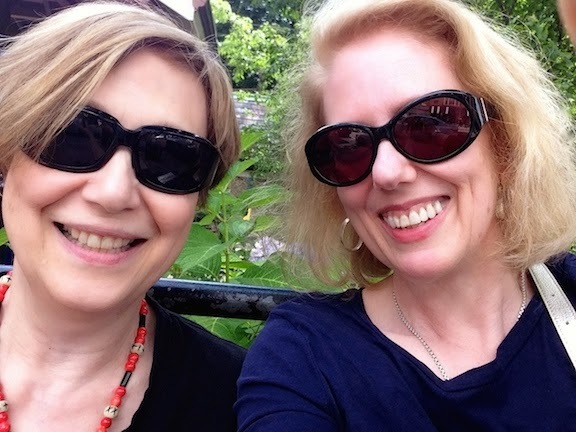 Avon Loves Librarians—a video excerpt from the tea Avon hosted for Sarah MacLean and me during Book Expo America. Isabella interrogates me here, in case you missed it. 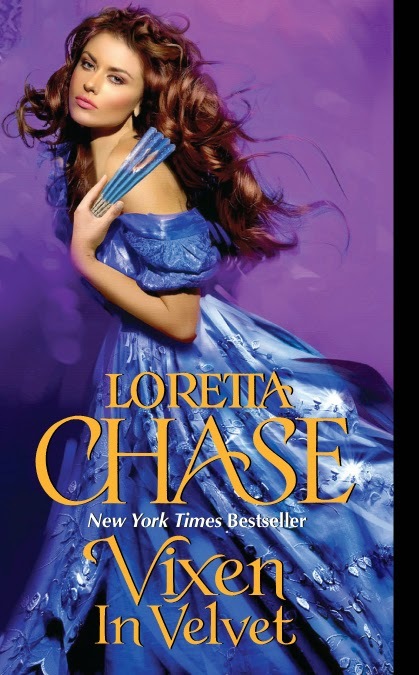 Romance Unlaced: Interview with Loretta Chase—Madeline Hunter interrogates me at Happy Ever After. My wonderfully nerdy interview at All About Romance. Interviews at Writer at Play, Part 1 and Part 2. And if you're not sick of me talking about me & my writing, or if you still have unanswered questions, please ask—or join me here next week for more about the things I've learned about the 1830s and what I do with them. Nope. Totally notice of you talking about your writing! I just finished Vixen in Velvet early this morning. I wish there was a visual blog or pinterest page to go with the book full of pictures/photos of the fabric and fashions you had in mind as you wrote the book. Each visual with a quote from the book so I could see what you were writting about...Just a wish. I think you will find the story interesting. MK, thank you! And yes, I'm not done yet!